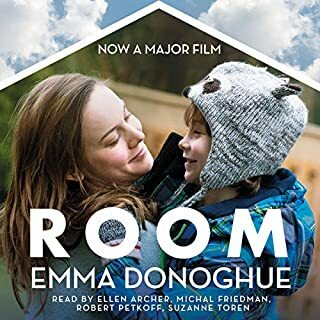 Would you consider the audio edition of Room to be better than the print version? The voice of the boy is to be congratulated. Very well done. Not a 'likeable' story, but the honesty and innocent view of the world from a child's eye is endearing and hopeful. If you could rename Room, what would you call it? So glad I read this as a book-club book, needs a 'de-briefing' session. Surprisingly all 12 members read it, with initial apprehension, and all had positive appreciation for a confronting story. Italy, 1570. The convent of Santa Caterina is filled with noble women who are married to Christ because many cannot find husbands outside. Enter sixteen-year-old Serafina, removed by her family from an illicit love affair. While on one side of the walls, forces in the Church are pushing for change, inside, Serafina's spirit and defiance ignite a fire that threatens to engulf the whole convent. 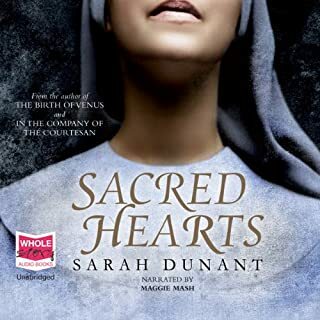 yes, interesting world, and fascinating historical facts that intrigued Sarah Dunant to write novel. Really like Shakespearean themed novels. Suora Zuana, finds a life within the walls of the convent that would not have been available to a woman of her times, and has an intelligence and soul that is inspiring. Have you listened to any of Maggie Mash’s other performances before? How does this one compare? no. Happy to in the future though. If you could take any character from Sacred Hearts out to dinner, who would it be and why? The motto of the boarding school to which Tommy Bedford is dispatched is Fortune Favours the Brave. It’s 1959 and the school bristles with bullies and sadistic staff. Tommy, a quirky loner, obsessed with cowboys and Indians, needs all the bravery he can summon. Salvation comes when his glamorous actress sister is swept off to Hollywood by one of his heroes, TV cowboy Ray Montane. 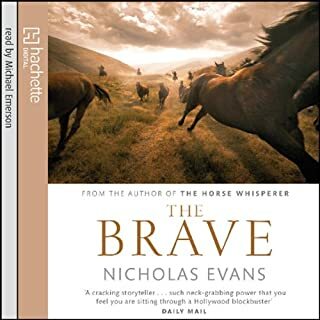 What disappointed you about The Brave? Main character was distant and cold. Felt like I was just watching a story roll by, not a lot of reader interaction. Would you ever listen to anything by Nicholas Evans again? read a few books already. Good mid-day movie fodder. What character would you cut from The Brave?
? ?Gina, there were a few too many characters and happenings to follow. 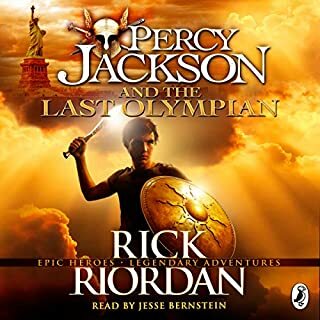 What did you love best about Percy Jackson and the Last Olympian? What was one of the most memorable moments of Percy Jackson and the Last Olympian? Have you listened to any of Jesse Bernstein’s other performances before? How does this one compare? Bernstein is good, sometimes his voice was a bit grating. 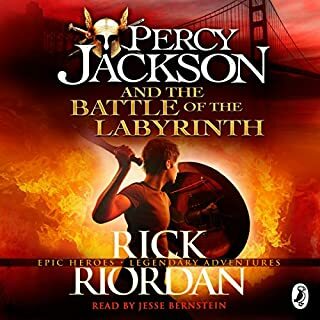 What made the experience of listening to Percy Jackson and the Battle of the Labyrinth the most enjoyable? anything in the labyrinth ... greek mythology. 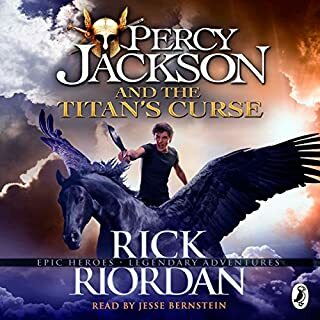 Would you listen to The Titan's Curse: Percy Jackson, Book 3 again? Why? Yes, read the books first, then downloaded them to listen to while traveling. Even had my husband listening to them. What about Jesse Bernstein’s performance did you like? They did make a film, and changed way too much of the plot. Still trying to work out why. Should have used the producers of 'Harry Potter'. The story is brilliant as is! age range from 9 - 99!! In 1956, Dell Parsons' family came to a stop in Great Falls, Montana. His father, Bev, was a talkative, plank-shouldered man, an airman from Alabama with an optimistic and easy-scheming nature. His mother Neeva - from an educated, immigrant, Jewish family - was shy, artistic, and alienated from their father's small-town world of money scrapes and living on-the-fly. It was more bad instincts and bad luck that Dell's parents decided to rob the bank. They weren't reckless people. 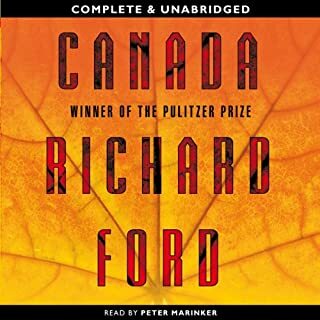 Would you try another book from Richard Ford and/or Peter Marinker? What could Richard Ford have done to make this a more enjoyable book for you? Characters were unlikable. Too structured, and frustratingly repetitive. If you could play editor, what scene or scenes would you have cut from Canada? at least half the book. Not enough scenes about the scenery...very desolate descriptions...bit like the characters, but way overdone. worst book Ive read in a while. - most of the bookclub members agreed too. The Triffids are a monstrous species of stinging plant; they walk, they talk, they dominate the world. The narrator of this novel wakes up in hospital to find that, by missing the end of the world as he knew it, he has survived to witness a new one. But the new world that awaits him is fantastic, horrific - and entirely plausible. Good to listen to whilst long distant driving...Read this book as a 12 - 13 year old, like most people... re-hearing it, made me realise how TV graphics have changed the idea of 'terror'. 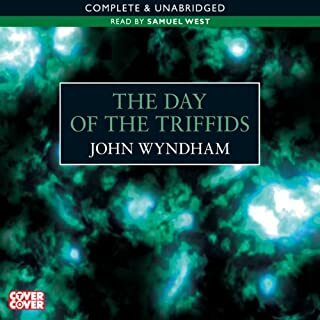 If you’ve listened to books by John Wyndham before, how does this one compare? What three words best describe Samuel West’s performance? couldn't quite get through the movie, better as a book.